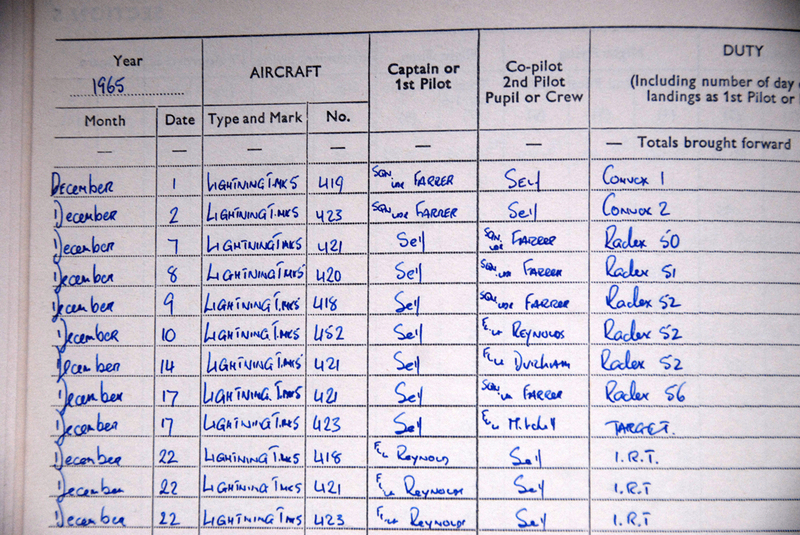 I was recently sent a page from the logbook of Wing Commander C Bidie. One of the entries shows a Rad Ex in XS420 so it is nice to be able to include the extract below. The flight took place on 8 December 1965 at RAF Coltishall. At this time XS420 would have been a mere six months old. 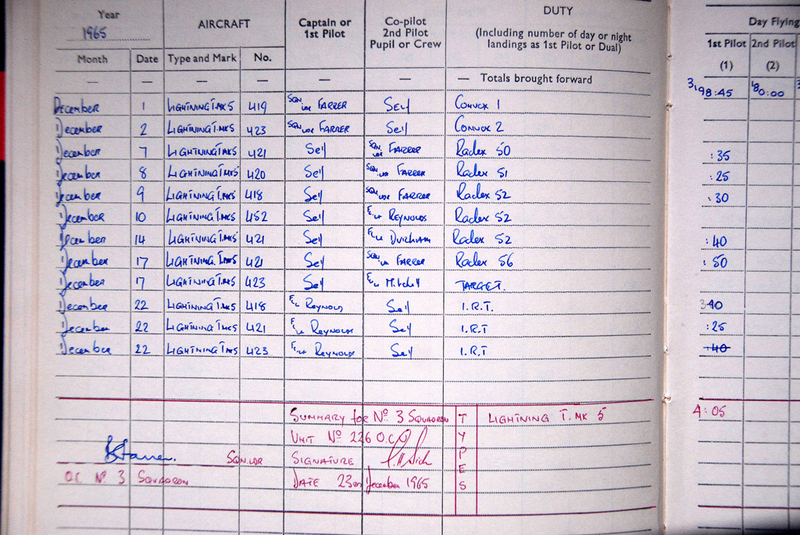 My thanks go to Frank Wielbo for sending me the entries from the logbook.